NWA 11444 was found in 2017. The exact location where the sample was collected is unknown, although hearsay evidence suggested it was somewhere in Mauritania. The find consisted of approximately 200 pieces. 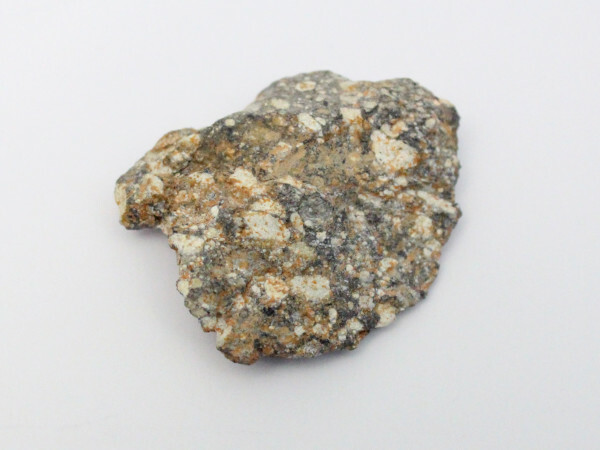 It is classified as a lunar melt breccia and has moderate weathering. Over billions of years, the Moon experienced intense bombardment from meteorites and asteroids. This caused the rocks of the lunar crust to be repeatedly broken up and reformed by impacts. 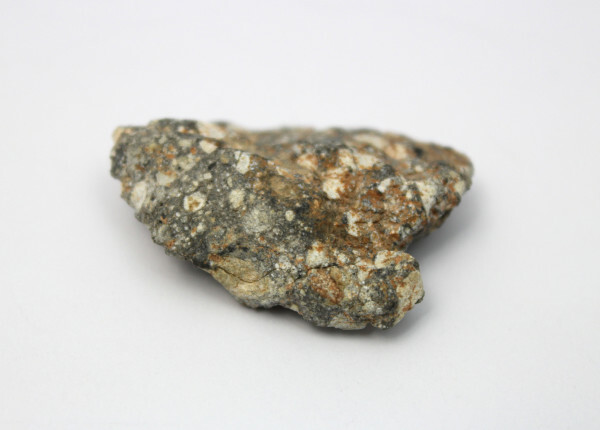 Therefore, most lunar meteorites are rocks made up of pieces of other rocks (clasts) in a matrix of finer-grained rock fragments, glass, or crystallised melt. Rocks of this type are known as breccia. Lunar meteorites are created when asteroids or comets collide with the Moon. Such impacts can throw up material at such speed that it escapes the Moon’s gravitational pull. The material must travel at least 1.48 miles per second for this to happen. The ejected rocks can spend anything from a few years to several million years in space, depending on how they interact with the gravitational pull of the Earth and the Sun. Some eventually strike the Earth as meteorites.